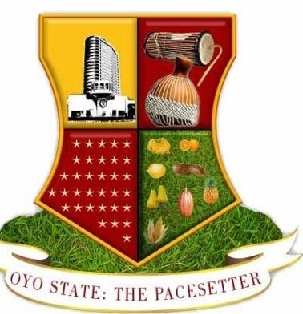 Thousands of students of Oyo origin under the auspices of the National Association of Oyo Students (NAOS) have cried out over the continued closure of the six tertiary institutions owned by Oyo state government. The workers in the six institutions, News source recalled, had been on strike since Friday, 3rd November 2017 due to the failure of the state government to pay their salaries running to sixteen months. The six concerned institutions are, The Polytechnic, Ibadan; Emmanuel Alayande College of Education, Oyo; Oyo State College of Agriculture and Technology; The Ibarapa Polytechnic, Eruwa; The Oke-Ogun Polytechnic, Saki and College of Education, Lanlate. Six Oyo tertiary institutions begin indefinite strike. But worried by this development , the umbrella body of students in tertiary institutions who hailed from the ancient city of Oyo while reacting to the sad development urged the state government to address the issue surrounding the closure of the institutions to save the future of students in those citadels of learning. NAOS National President, Comrade Saheed Alabi Agboluaje in a save our soul press release, a copy of which was obtained by DAILY POST on Wednesday declared that there was a need for the state government to address the issue urgently as the future of their colleagues in the affected schools are at stake. He lamented that a major reason responsible for the strike in the institutions is the fact that the state government was giving 25% subvention and this translates to quarter salary to staff without any other form of motivation for them. 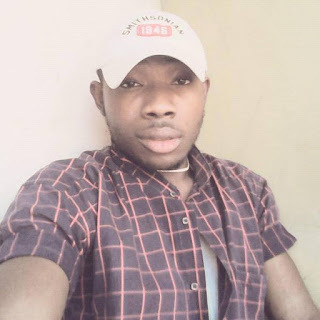 Agboluaje, however, charged the state government to do the needful at the right time, saying that the generality of the students can no longer afford to be at home. “Ladies and gentlemen of goodwill and astute flair for education, I write to address the situation of our education system in Oyo state. As a concerned stakeholder in the educational sector, our dear association, National Association of Oyo Students feels so sad and heartily touched by the way the six tertiary institutions in the state are under lock and key. The reasons are not far fetched, notable among is the fact that the state government is giving 25% subvention and this translates to quarter salary to staff without any other form of motivation for them. However, workers who have strived so hard in delivering their best for students should not be subjected to such a cruel ordeal. Unarguably, the Oyo State government led by His Excellency, Governor Isiaq Abiola Ajimobi is the major and most concerned authority capable of finding a lasting and sustainable panacea to this present predicament. The National Leadership of NAOS painstakingly frowns at this ugly situation. We do not need to remind the government the hazard and disastrous implications of students been at home aside from been on holiday. Oyo state government should endeavour to listen emphatically and find immediate solution to this unwanted scenario. We are aware that government had taken step through the setting up and inauguration of new Governing Council for all the tertiary institutions, this is applaudable. We want the government to be more committed to this task. Education should be of utmost concern to the government, therefore the need for urgent attention. National Association of Oyo Students (NAOS) joins other concerned bodies to charge the state government to do the needful at the right time as the generality of the students can no longer afford to be at home”.